Harkening back to a simpler time, the Inspire Collection freshens traditional forms with flowing lines. Oval metal arms gracefully support an off-white linen shade. Included 72 in. chain can be shortened during installation to perfectly fit your room. With Danish modern sensibilities, the Janos Collection features simply curved arms in a striking metallic finish. Trumpet shaped glass shades provide visual interest without interrupting the clean lines of the fixture. Create the sophisticated feel of modern, urban living in your home - no matter where you live. Included energy efficient, compact fluorescent light source adds to the value and helps you do your part to conserve energy without sacrificing style. Gather Collection 4-light Antique Bronze Foyer Pendant Casual with a contemporary flair, Gather possesses a smart simplicity to complement today's home. Etched glass shades add distinction and provide pleasing illumination to your room. Coordinating fixtures from this collection let you decorate an entire home with confidence and style. 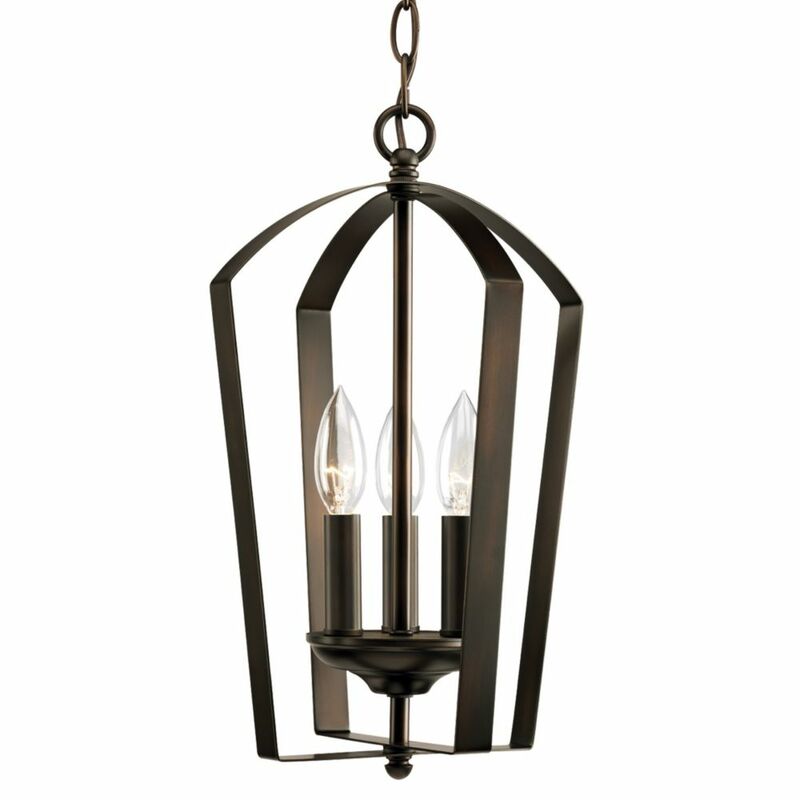 Gather Collection 4-light Antique Bronze Foyer Pendant is rated 5.0 out of 5 by 1. Rated 5 out of 5 by Sannmike from Light fixture We are very pleased with the light! Gives off plenty of light and perfect for the room I put it in. Perfect touch!